Block Island is a 9.7-square-mile island located off the coast of mainland Rhode Island, approximately 14 miles from Long Island's Montauk Point. 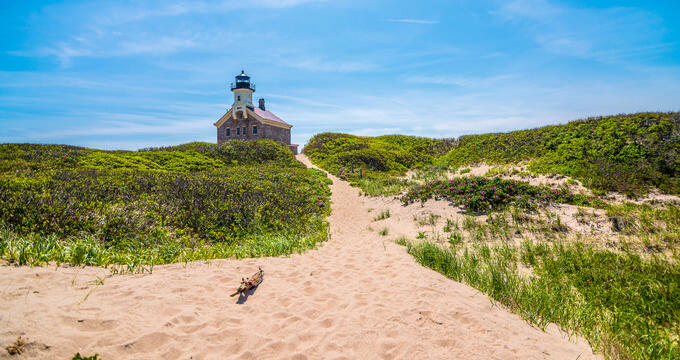 Cycling, hiking, fishing, and sailing are popular activities on the island.Block Island served as a retreat for celebrities such as Amelia Earhart, Charles Lindebergh, and Presidents Eisenhower, Roosevelt, and Clinton. 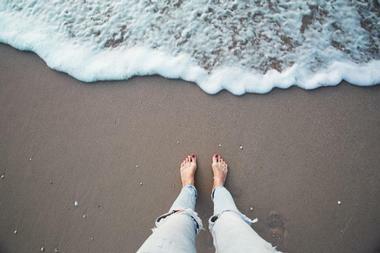 Ballard's Beach is one of Block Island's premiere civic entertainment centers and outdoor activity destinations, offering a beach party atmosphere complete with top visitor amenities. The beach is open to the public and accessible via the upscale Ballard's Beach restaurant, which offers New England-style fare in an oceanfront dining environment. Queen, king, and deluxe guest rooms are offered at Ballard's Hotel, offering beach, ocean, and boardwalk views from every room. Beach visitors can relax in rentable lounge chairs or cabanas and enjoy craft cocktails, wine, and beer from the resort's outdoor tiki bars. During the summer months, live music performances are presented daily, with beach volleyball equipment available to all beach patrons. 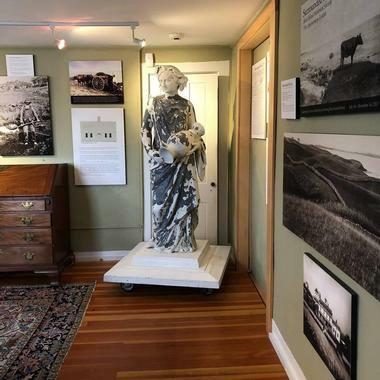 Block Island Historical Society Museum is a historical museum that is operated out of the island's former two-story Woonsocket House, originally constructed in 1871. The museum is an extension of the Block Island Historical Society, which has been in operation since 1942. It has operated the museum since 1945, which features two floors of permanent and temporary rotating exhibits today, with a focus on the region's social and cultural history from indigenous times to the present day. Displays include collections of period furniture and textiles, boat models, oral history tapes, and artifacts and artwork related to local indigenous groups. The museum is open seven days a week during the summer months, with special appointment tours available during the off-season. Block Island National Wildlife Refuge was originally established in 1973 to preserve the island's natural habitats and ecosystems, with a particular focus on habitats for migratory songbirds. Today, the refuge encompasses more than 134 acres and is supervised as part of the Rhode Island National Wildlife Refuge Complex, which also oversees the state's four other National Wildlife Refuges. As one of the American East Coast's most significant migratory bird habitats, the refuge is a popular spot for birders throughout the summer and autumn seasons. Hunting and fishing opportunities are also available for visitors with valid Rhode Island permits, and interpretive environmental education programming is offered weekly by park staff and volunteers. Clayhead Nature Trail is located within the 190-acre Clay Head Preserve, which is one of seven properties on the island that is overseen by the Nature Conservancy. The preserve serves as one of the American East Coast's most beautiful undisturbed habitats, home to large populations of migratory songbirds throughout the summer and autumn months. The trail is accessible from Corn Neck Road approximately three miles from Block Island's city center. Approximately a third of a mile from the trailhead, the trail connects with picturesque clay shoreline bluffs and reaches "the maze," a series of interconnected trails that allow for prime birdwatching. Fish The World Charters is a company owned by longtime Block Island residents Chris and Maegan Hobe, owners of the island's iconic Salty Dog retail store. The company offers a variety of fishing boat excursions, including tours of the island's offshore wind farm, the first of its kind in the United States. The renewable energy project was originally developed by Deepwater Wind and produces up to 125,000 megawatts of energy annually, enough to power 17,000 homes in the region. All tours are conducted by Hobe, a fully-licensed Coast Guard 100-Ton Master, aboard of a 26-foot Sailfish center console boat powered by twin Yamaha 150 engines. The Fishing Academy is a day-instruction fishing program for Block Island youth and young tourists, founded by Skidmore College graduate Ian Pollock and Block Island native Greg Swienton. The pair bring their experience in early childhood education and youth sports coaching to their newest venture, teaching students ages 6-15 the basics of fishing skills in a safe, friendly environment. Techniques taught during the course include proper casting, rigging, knot tying, angling, and fish handling skills. 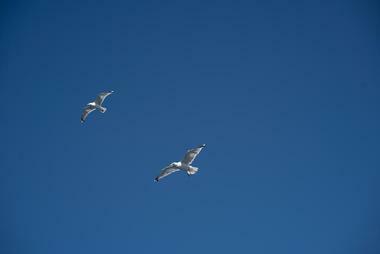 Three weekly sessions are offered throughout the summer months, with rates for Block Island residents and off-resident tourists. All sessions are limited to 15 students per class to ensure maximum instructor attention and workshop fun. Fred Benson Town Beach is an acclaimed visitor beach on Block Island that has been named as America's "Best Beach for Families" by Coast Living. The beautiful white sand beach is located less than a mile from Block Island's city center and is easy to spot due to its large covered beach pavilion. It is a favorite for visitors with small children in tow due to its low surf and lifeguards staffed on duty during the summer months. Visitor facilities offered at the pavilion include showers, restrooms, and a full changing room with lockers for family use. A concession stand offers ice cream and beach snacks, while a rental shop lets visitors rent chairs, cabanas, umbrellas, and boogie boards for day use. Ample visitor parking is offered, with easy car-to-beach access. HeliBlock is a Westerly, Rhode Island company that offers scenic helicopter tours around Block Island for visitors, led by a team of experienced pilots aboard top aircraft. Three types of tours are offered, including standard Block Island helicopter tours, which make a complete scenic lap around the island to show off its beautiful natural areas and crystal-clear surrounding waters. An offshore wind experience tour is also offered, giving visitors a close-up look at the island's offshore wind generation facility, the first of its kind in the United States. North Light tours also provide high- and low-level views of spectacular nearby sights such as Montauk, Newport, and Martha's Vineyard. The Mohegan Bluffs are one of Block Island's most acclaimed natural wonders, named for the 1590 indigenous battle between the Mohegan and Niantic tribes. The 200-foot bluffs are the location of the Block Island Southeast Lighthouse, which has been moved several times due to bluff erosion. In addition to serving as a dramatic Atlantic Ocean overlook site, the bluffs provide access to a secluded beach area at Corn Cove that is accessible via a set of more than 140 public stairs. On clear days, views atop the bluffs extend all the way to Montauk and Long Island. Visitor access is permitted between dusk and dawn, with sunbathing, swimming, surfing, and dog-walking serving as popular visitor activities. Aldo's Bakery is a family-operated bakery opened by Italian immigrants Aldo and Maria Leone in 1970. The Leones brought experience working with the famed Spring House Hotel and Narragansett Inn to their establishment, which is operated by their sons Bobby and Aldo Jr. today. Since 1983, the shop has served its renowned homemade Italian-style gelato, which is available by the cup or by the cone in 24 flavors today. 32 flavors of homemade ice cream are also served, along with six styles of soft serve and frozen yogurt. In addition, a wide variety of pastries and bakery items are sold, including doughnuts, muffins, croissants, danishes, and scones. A full breakfast menu is available daily, highlighting favorites such as flavored waffles, pancakes, and griddle items, and a full beverage menu serves coffee shop drinks, including smoothies and frozen coffee beverages. Blocks of Fudge has been named as Rhode Island's best fudge by Rhode Island Monthly, located along the island's Chapel Street next to popular New American restaurant Eli's. The fudge shoppe has been a family-owned local business for more than two decades, offering a wide variety of fudge flavors for sale by the slice or by the pound, including flavors such as penuche, turtle fudge, and coffee heath crunch. It is also the island's largest distributor of candy, offering a variety of homemade chocolates, gummies, and sour candies. Candy deals include fillable boxes of souvenir bin candy and discounts on larger orders of fudge. The seasonal shop also caters for private special events, including sourcing fudge as wedding favors. 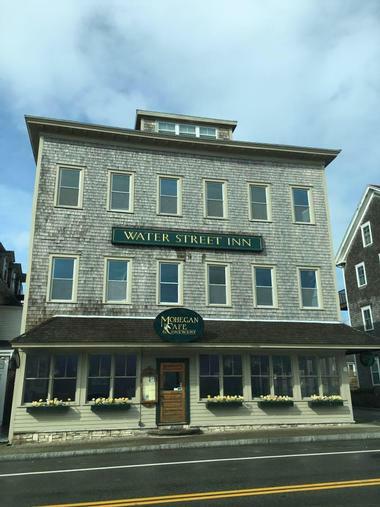 Mohegan Cafe and Brewery is one of Block Island's top casual eateries, operated as the island's only craft brewery and brewpub. The restaurant is operated by husband and wife team Marc Scortino and Katie Simlick, who also operate the nearby Harbor Grill and Captain Nick's Rock-and-Roll Bar enterprises. It is a pioneer of the Skip the Straw movement, which encourages customers to forgo using one-time-use plastic straws as part of environmental conservation initiatives. A wide variety of casual gastropub fare is offered at lunch and dinner, including internationally-influenced entrees such as pad Thai, jerk chicken sandwiches, and vegetarian chili burritos. House beers are served, along with a variety of regional and national craft favorites on draft or in bottles. 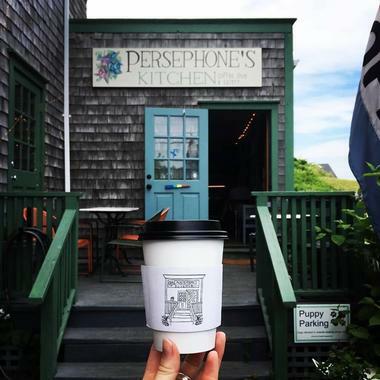 Persephone's Kitchen is a casual Block Island coffee shop and eatery that offers locally-sourced, environmentally-friendly light cafe fare at breakfast and lunch. The restaurant serves a variety of classic coffee shop beverages, including cappuccinos, macchiatos, and flavored lattes, along with tea beverages such as chai and Thai iced tea. Light breakfast fare includes egg breakfast sandwiches on English muffins or ciabatta bread with ingredients such as Vermont cheddar and avocados. Daily frittata specials are also offered, along with gourmet toasts, yogurt and granola bowls, and smoothies showcasing health-conscious ingredients such as chia seeds, hemp seed protein, and bee pollen. At lunch, the restaurant's sandwich melts are available, highlighting unique ingredients such as kimchi, sweet potatoes, and pesto, along with healthy kale salad offerings. 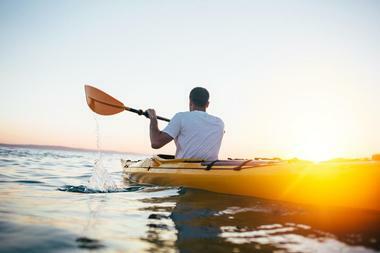 Pond and Beyond Kayak is a kayaking rental and tour company, offering opportunities to explore the waters on and surrounding Block Island, including the 900-acre Great Salt Pond. It is a family-operated business owned by Block Island native Corrie Heinz, a recipient of the Bayberry Wreath Award for her contributions to natural conservation programs and organizations. Single and double boat rentals are offered by the day or long-term, with all rentals including paddles, life jackets, and basic kayaking instruction. Guided kayaking tours are also offered by the company, including eco tours of the Great Salt Pond and Kids in Kayaks children's excursions. Rodman's Hollow is a 230-acre glacial outwash plain located on the southwest end of Block Island, noted as the inspiration for the extensive preservation initiatives on the island. It was the first area of Block Island to be put under management by the Nature Conservancy, who co-operate the preserve today with the Block Island Conservancy and the Town of New Shoreham. It is home to Rhode Island's largest population of bushy rockrose plants, which are protected on the state's endangered species list. 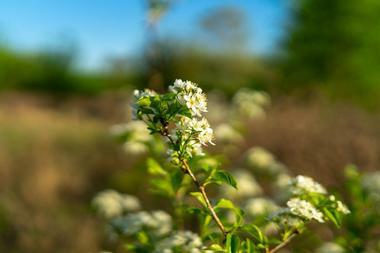 Shadbush, bayberry, and arrowwood shrubs are also prevalent in the hollow, along with threatened and endangered animal species such as the northern harrier and the American burying beetle. 28 miles of visitor walking trails are offered, accessible from Black Rock Road. Block Island Parasail and Watersports is Block Island's premiere air and water tourism company, offering guided parasail flight tours for visitors seven days a week during the summer months. The company has been operated by Captain Bob Littlefield since 1989 and has served more than 40,000 Block Island tourists since its inception. Participants of all ages and experience levels may book parasail flights, led by experienced tour guides who supervise rides from boats. Tours provide guests with opportunities to see the region's spectacular beaches, bluffs, and coastal waters, with banana boat rides also available for participants with children or mobility restrictions. 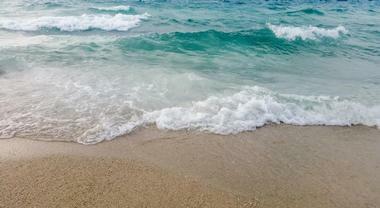 As tours are highly dependent on current weather conditions, same-day reservations are strongly recommended. The company also operates a sister facility, Champlin's Watersports, which offers same-day and multiple-day kayak, paddleboard, pontoon boat, and skiff rentals. 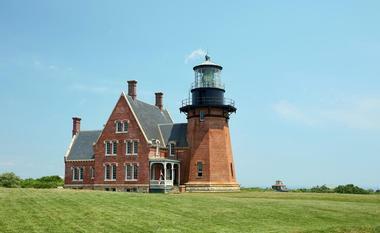 Southeast Lighthouse is a historic lighthouse located at the Mohegan Bluffs along Block Island's southeastern tip. The lighthouse was originally commissioned in 1856 and constructed in 1874, lit for the first time the following February. Though it was decommissioned for use by the United States Coast Guard in 1990, it was relocated by 300 feet due to bluff erosion concerns and transferred to the care of the Southeast Lighthouse Foundation preservation organization. Since 1997, it has been designated as a United States National Historic Landmark, noted as one of the only remaining American lighthouses to use a first-order Fresnel lens. The lighthouse is open for guided tours during the summer months, with a small museum and gift shop open to the public at the tower's base. 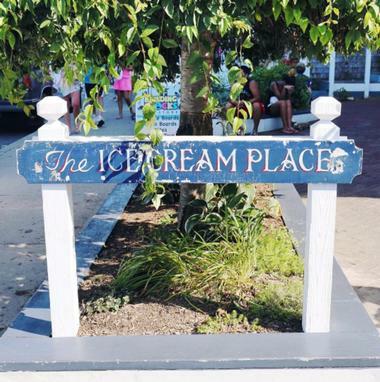 The Ice Cream Place is Block Island's premiere ice cream parlor, open to the public for more than 35 years. The parlor serves ice cream and frozen yogurt flavors sourced from five dairies, offering more than 40 flavors at any time out of a lineup of more than 60 varieties. Homemade toppings are available, including the parlor's homemade hot fudge and butterscotch sauces. Regular cones and sundaes are served within the parlor's homemade waffle cones, with sundae options such as brownie, cookie, and turtle sundaes and classic banana splits. A variety of homemade baked goods are also served on site, including double fudge brownies, chocolate chip cookies, and chocolate-dipped macaroons. Beach Rose Bicycles allows Block Island visitors to travel in style with Raleigh and Trek bicycle rentals by the hour or by the day. Mountain, hybrid, and sport models are offered in both men's and women's sizes, with tandem bikes for two available in two sizes. 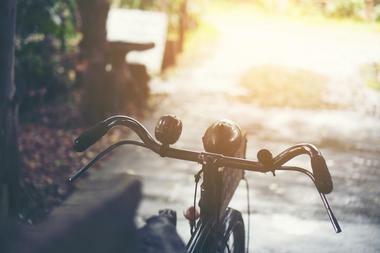 Children's bikes are also available, including wheel pedal brake bikes, tag-a-longs, and child trailers for adult bikes. All patrons receive the company's signature personalized service throughout the course of all rentals, with maps, locks, and helmets provided complimentary with all rentals. Special off-season rates are available during the autumn months, with multiple-day and long-term rentals available upon request.